Wheaton Precious Metals pays an annual dividend of $0.36 per share, with a dividend yield of 1.64%. WPM's most recent quarterly dividend payment was made to shareholders of record on Thursday, April 18. 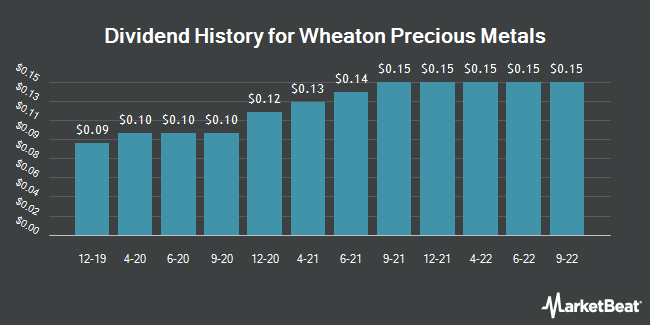 Wheaton Precious Metals pays out 75.00% of its earnings out as a dividend.